We’re in for a real treat in March when Ben Affleck’s multi-award winning film comes to Llancarfan. Argo, based on real events, tells the story of a far-fetched plan to rescue US citizens held hostage during the Iranian revolution in 1980. 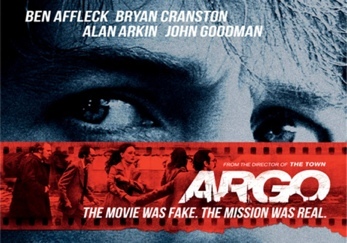 A hit with audiences and critics alike, Argo took the top prize at this year’s Oscars®, adding to a raft of BAFTAs, Golden Globes and other prestigious awards. Why not join us and see what all the fuss is about? Tickets are selling fast so book now to avoid disappointment.